I’m not somebody who usually does much for their birthday, but I was particularly excited when I was having dinner with my friend Sophie a few weeks ago and she suggested that we take a day trip for my birthday this year. The day out was decided to be a visit to London, centered around a visit to the Sea Life Aquarium. 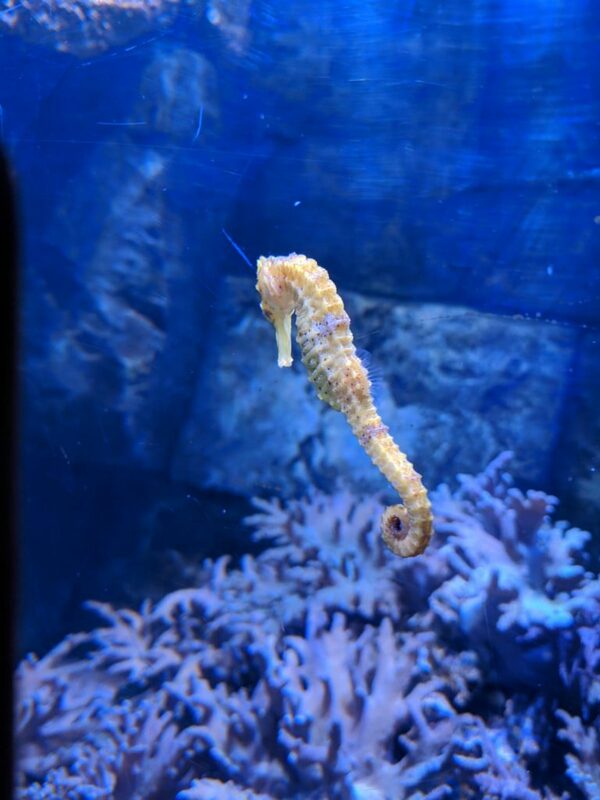 I’ve always been particularly fond of ocean life and I’ve never had an unenjoyable visit to London – so tickets to go there were a fantastic gift. You can imagine how excited I was. To make this blog post a little more enjoyable than the usual walls of text that I post, I’ll sprinkle the best photos between the paragraphs. I find ocean life so much more interesting than animals you see on land, because it’s so different. I suppose a part of my enjoyment is based on escapism, because my mind wanders a lot when watching these beautiful creatures swim around. When we arrived at the aquarium, there was a big illustration of a sad looking octopus cowering away from a flashing camera, with a message to say that flash photography was prohibited. Sadly, some guy thought it was worth stressing out an innocent creature just for the sake of a picture that he’ll probably look at once and then never think of again, so he was taking lots of pictures of the octopus with his flash on. Sophie and I spent some time wondering about bad things that might deservedly happen to him later that day. Something I really appreciated, was that almost every exhibit had information about the human-made threats which face these creatures. 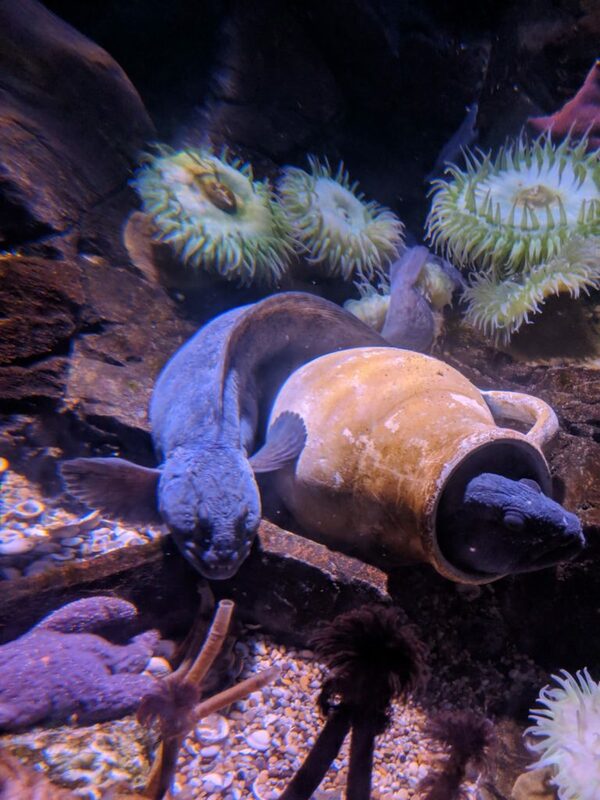 As much as watching and admiring them simply due to the natural beauty of their existence is nice, it is equally important, if not more so, for organisations like the Sea Life Trust to educate people on these issues. So I’m glad that they were. Having said that, I wish that more staff members were around so that I could ask questions. There was one penguin, for example, which seemed to be acting strangely and I wish I could have spoken to somebody to find out why or even to alert them to it. 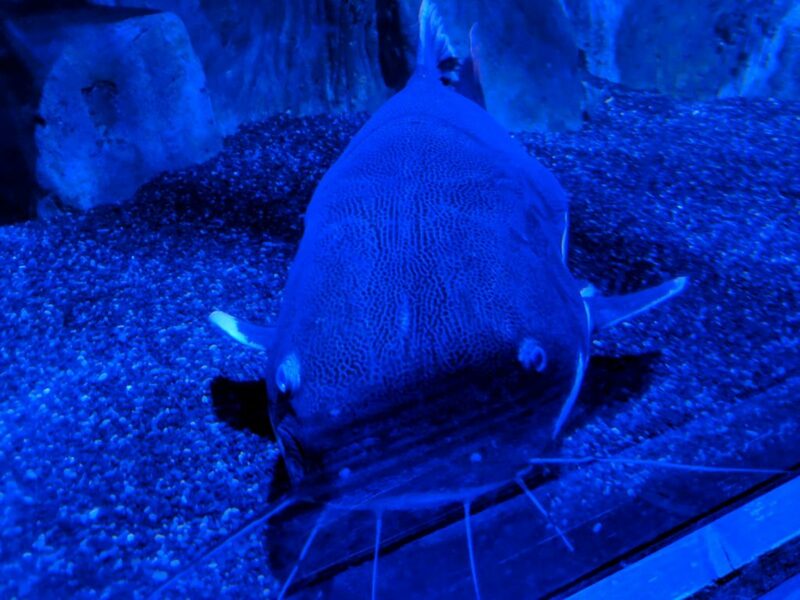 I would also have liked to be able to ask somebody about the issue of keeping shark in captivity, because there was one big shark swimming around and it certainly looked alright and it did have the biggest tank, but I’d have liked the chance to talk to someone, as I have heard it can be bad to keep sharks in tanks. But, overall, I was definitely left with a positive impression. The tanks all seemed to be appropriately sized for the fish living inside them. It wasn’t just fish either, but also some insects, frogs, snakes and other creatures. 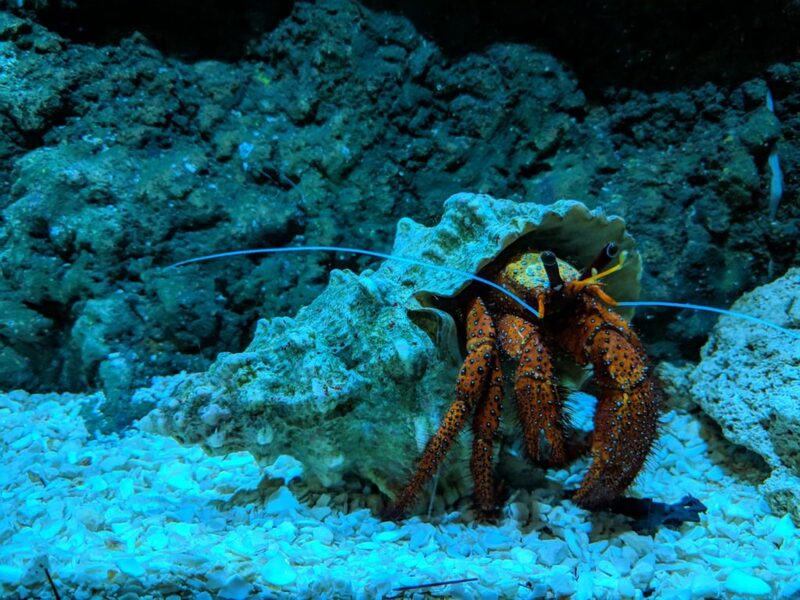 At one point, there was also the opportunity to stroke a star fish – which was nice. There was a staff member there to make sure that everybody was respectful and not touching it in ways which might be harmful. She seemed very wary of the children there and I’m sure I would too. The starfish curled its arm around Sophie’s finger, but it didn’t around mine. 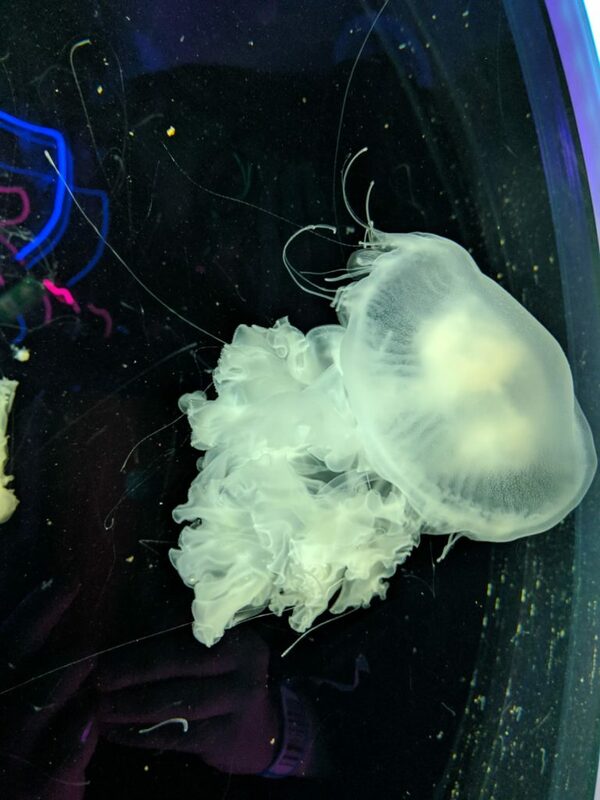 My favourite fish were the jellyfish – they look so different to anything else and there were loads of lights shining on them to make their bodies look as if they were changing colours. 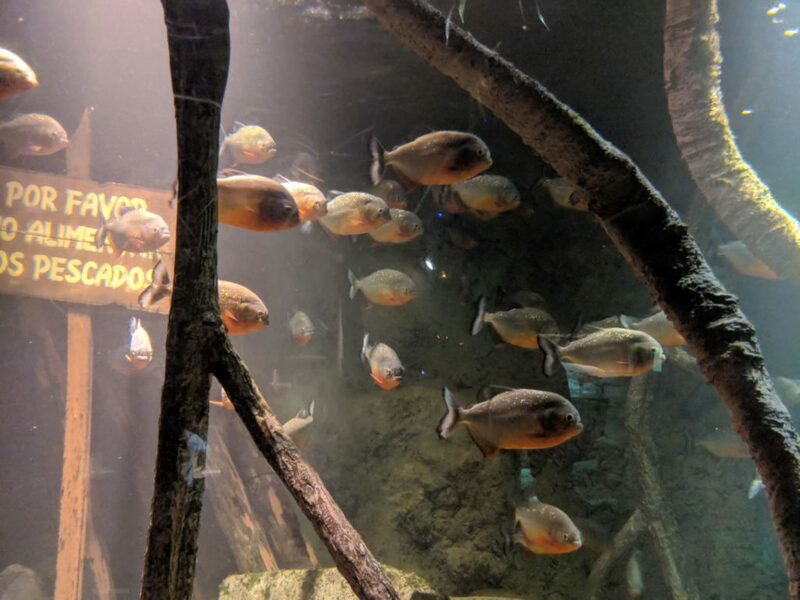 They’re amazing and they’re also the last thing you see in the aquarium – no doubt they knew that they were saving the best until last. If I had to pick a favourite jellyfish, however, I couldn’t do so. 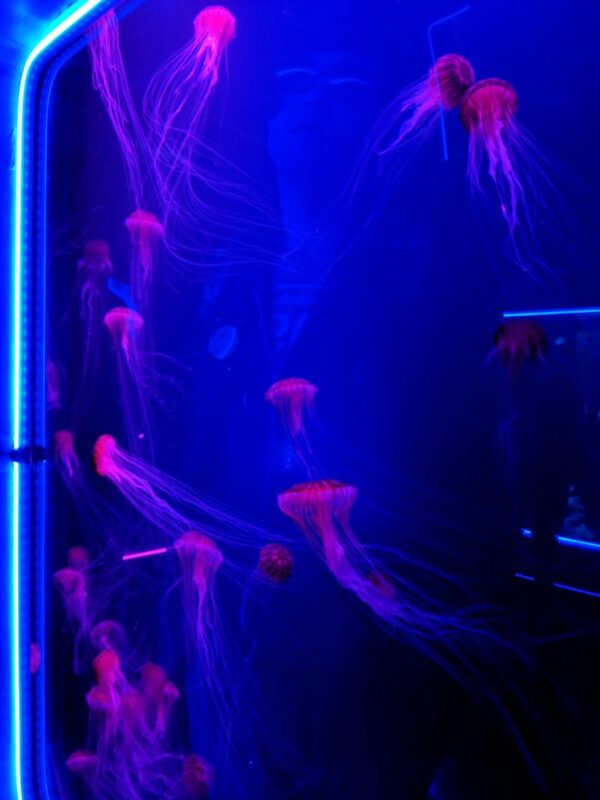 Sophie told me that I couldn’t say “Oh my, these ones might be my favourite” at every jellyfish tank we came to. 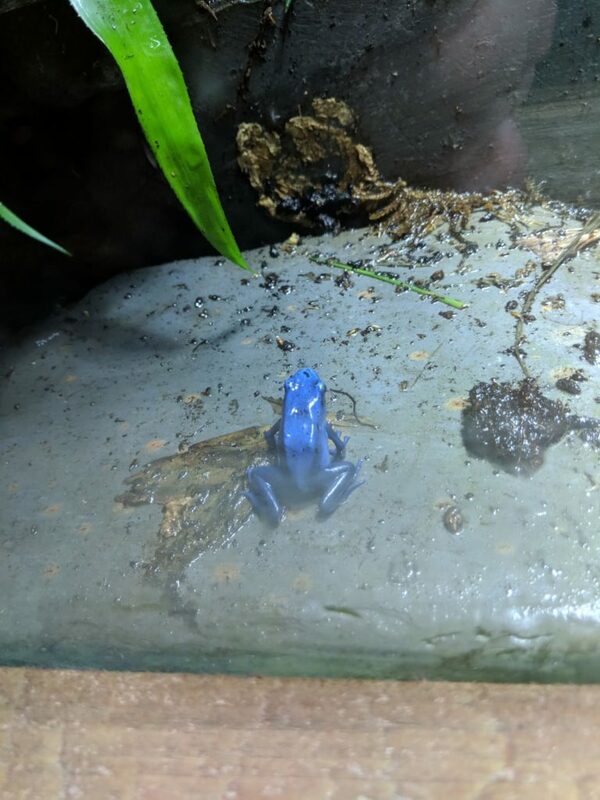 Other than just listing every single creature I saw and that aquarium and telling you that I loved them, I’m not sure I have much else to say about it. After the aquarium we ate some chips on some grass (tasty), then we wandered around the streets (invigorating), then we went to a toy shop (exciting), then we had dinner (delicious), then we went to a book shop (marvelous) – all in all, a very nice day. Indeed, as days go, it was one of the best I’ve had so far. Also, all of these photos were taken by Sophie. There’s no way my camera would get pictures this good. I’m very grateful that she took so many, as looking through them all again today, was like revisiting the aquarium all over again. I hope that you have enjoyed looking at the photos. This entry was posted in Anecdotes, Lovely Things. Bookmark the permalink. What a lovely adventure, so glad you and Sophie had a wonderful time!